Since I’ve eliminated gluten containing grains from my diet, it hasn’t been that hard to find great places to eat in Rapid City and the Black Hills. 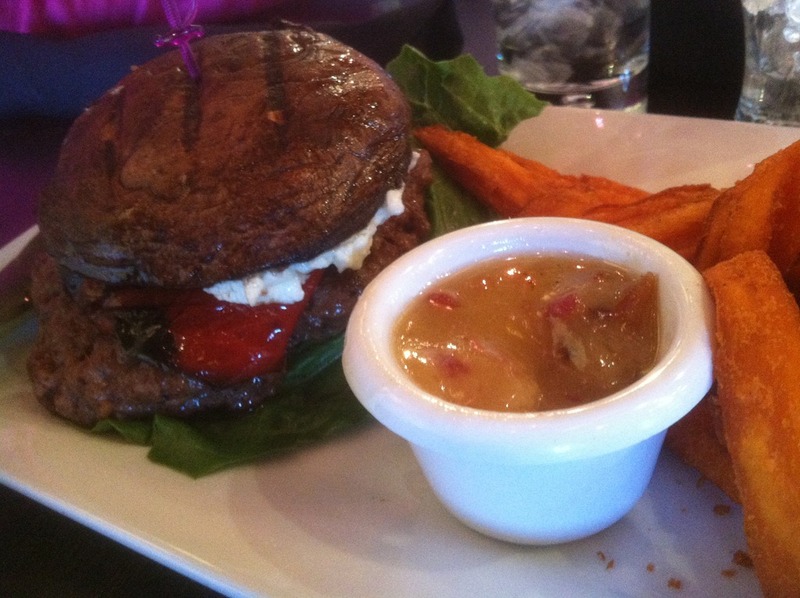 Prime rib and crab legs at the Gold Dust, Gluten-free crust pizza from the pizza lab or just a good burger sans bun. Murphy’s takes the gluten-free burger to the next level. A mushroom bun. They have a large menu to please almost anyone. I loved the sweet potato fries. The Shepard’s pie looked pretty tasty too. We found our server and the staff to be attentive and friendly. There is a large outdoor patio and the interior is spacious as well. You mention here that you have eliminated gluten from your diet but have found many places to eat. We are visiting the Blakhills in less than 2 week and our 10 year old is gluten free. Traveling can be hard when you can’t just stop anywhere for a meal. Do you have suggestions of kid friendly gluten free places to eat in that area that are also affordable? The Pizza Lab is definately on our list. We will be approaching the Black Hills from Chadron, NE to Lead, where our hotel is. We are staying 3 nights to see the area and then returning home to Omaha, NE via the interstate. Any help you can be would be greatly appreciated! There are some options in the Black Hills. No place is certified Gluten-free, so we do our best to avoid it. The buffets at Deadwood Casinos tend to have plenty of meat like crab legs and prime rib. Plus, there are lots of gluten free options at the salad bar. Most of the truffles at the Chubby Chipmunk are gluten-free. Another options, is to go to a grocery store – get a rotisserie chicken and what ever else you’d like. Then head to a park, we do this a lot. I am planning a post on gluten-free eating in the Black Hills, but may not have it completed by your visit. Oh yeah, if you are traveling through Chadron, you may want to stop by Carhenge along the way. It is a great roadside attraction.